The marginalized are the true mainstream. 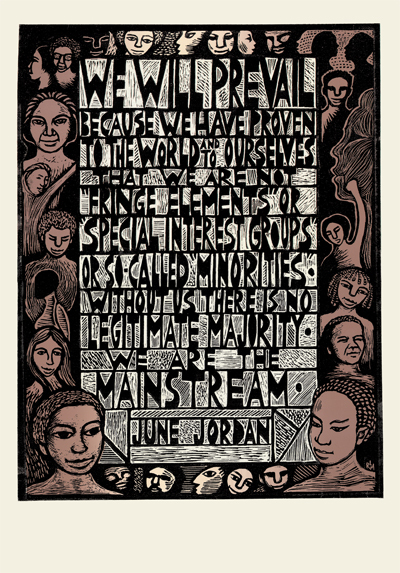 Words from June Jordan, poet, essayist, teacher, activist. June passed away in 2002 and left a multitude who will miss her.